Bamboo Charters is operated by Capt. 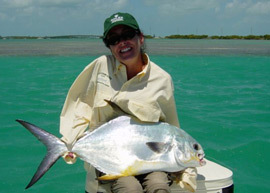 Matt Bellinger and based in the heart of the Sport Fishing Capital of the World, Islamorada in the Florida Keys. Located on four islands next to Key Largo and surrounded by the pristine waters of the Atlantic Ocean on one side and Florida Bay on the other, Islamorada sits in an aquatic wonderland! The Atlantic waters are protected by the Florida Keys National Marine Sanctuary and the waters of Florida Bay, whcih are covered by the Everglades National Park. These two unique habitats are home to countless species of saltwater fish, marine mammals, reptiles and a myriad of shore and sea birds. 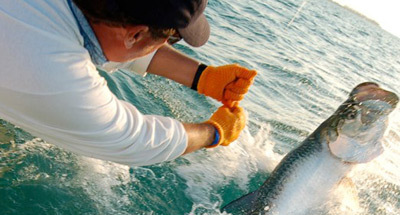 To say that Bamboo Charters is just another fishing charter company is an understatement! We bring a heightened level of professionalism that starts from the moment you book your much needed Florida Keys vacation and we realize just how valuable your vacation time is to you and your family. We promise to make it a memorable experience. From our boats and top of the line fishing gear, to our efforts to meet your needs and expectations during your day on the water, we will demonstrate a professional approach. We are a top of the line charter operation that blends hospitality, service and professionalism into a warm and relaxing experience for you, your family or your group.